When water damage strikes your place of business, it can mean total disaster. You don’t even have to be hit with an all out deluge or flood to suffer catastrophic damage. Even a small bit of water can throw your business for a loop and lead to a debilitating devastation of your valuable property and equipment. To avoid this, you’ve got to act fast. That’s what we’re here for. At Valor Janitorial, we offer Dallas thorough and reliable emergency water damage restoration around the clock – 24/7, 365 days a year. Just give us a call and we will respond right away, sending our expert team to your facility to immediately begin the crucial process of salvage and cleanup. The fact is, water damage can happen to any structure, at any time. More often than not, there’s very little warning to identify a potential problem so you can take action to nip it in the bud. Once it does occur, failing to take immediate action can mean the very difference between staying in business and losing hundreds of hours of critical productivity time. It can also ensure that your facility doesn’t suffer long term damage as a result of mold and mildew, which can depreciate the value of your equipment and property. 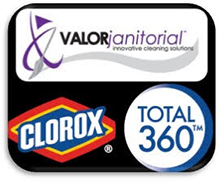 With so many water restoration companies in Dallas to choose from, why choose Valor Janitorial? Simply put, because we know the commercial space inside and out. As a locally owned and operated janitorial service offering a diverse range of services, from daily cleanup to disaster response, we know exactly what it takes to handle emergency situations. At Valor Janitorial, we service businesses just like yours on a daily basis – and as a result of that tried and true experience, we’ve developed the resources and the plan of action necessary to minimize water damage, ensure the safety of your employees and customers, and get you back up and running in no time. Broken pipe at 11PM on Christmas Eve? No worries. Flooded out of operation just hours before the start of your most hyped-up sale of the season? Don’t cancel your plans – it’s only a minor hiccup. Just give Valor Janitorial a call and we’ll take fast, decisive action to bring your facility back to its original condition. With years of experience under our belt, you can rest assured that your water damage restoration will be in good and capable hands. If you don’t want to wait for an emergency to strike to get the fine details on our water restoration services, pick up the phone and give us a call. We’ll be glad to answer any questions you have, or provide references from our large number of satisfied customers. At Valor Janitorial, we take pride in our professionalism and in our quality of work and aren’t satisfied if you’re not satisfied. And although we certainly hope you’ll never need our emergency water restoration services, we do hope that if the worst should happen, you’ll give us a call.